The #4 seed on The Ultimate Fighter Season 26, DeAnna Bennett joins EVil Eddie to talk about the latest highs and lows. Starting the podcast off by reliving UFC Utica: Sijara Eubanks vs. Lauren Murphy and a look at the entire division. The TUF 26 Finale is brought up where DeAnna’s opponent Melinda Fabian was deducted a point for grabbing the cage and the fight went on to end in a majority draw. Bennett goes on to tell us how she felt about being released by the UFC even though her opponent wasn’t. 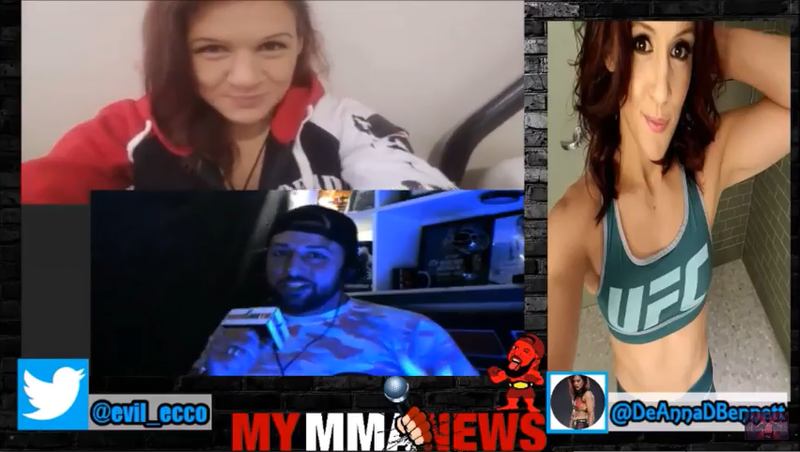 DeAnna then puts a bounty on her front tooth and weighs in on the recent BKFC PPV success and tells listeners that she is dying to get back in the cage as soon as possible and has a long term goal for her MMA Career.